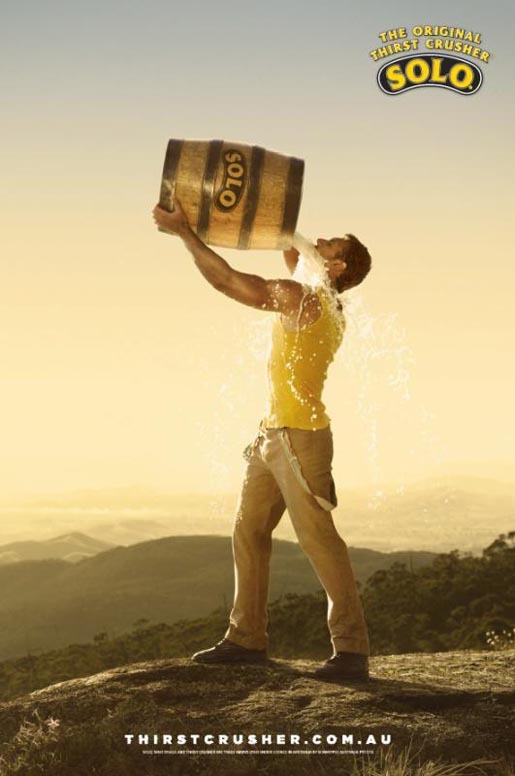 Schweppes is promoting Solo, a lightly carbonated lemon drink, in Australia with the return of Solo Man. The Australian advertising icon, known for his kayaking, canoeing and rafting ways on Australian television screens in the 1970s, 1980s and 1990s, returns in a light-hearted take on Solo’s history. The first commercial in the new campaign celebrates the first Solo Man, his discovery of a magical lemon tree, and the cross-country journey which leads to the creation of Solo. 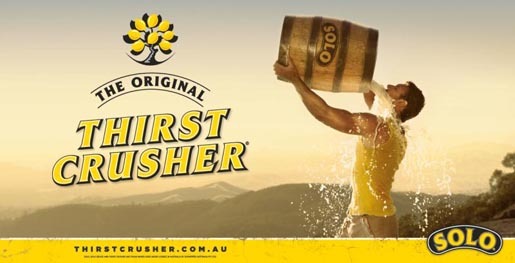 The campaign is online at the Solo Thirst Crusher Youtube Channel and Facebook page. 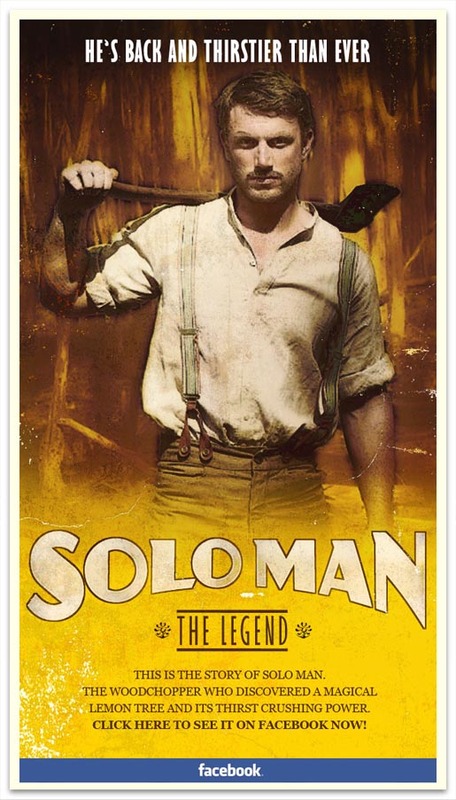 The 2012 Solo Man campaign was developed at BMF Melbourne by executive creative director David Klein, copywriter Iza Dawkins, art director Kieran Moroney, planners Simon McCrudden and Nicole Rulka, art buyer Melanie O’Rourke, agency producer Sophie Simmons, account director Jake Courage, account manager Lindelle Smith, group account director Alita McMenamin, working with Schweppes marketing manager Ellie Vince and Solo brand manager Meg Terrill. Filming for Legend of the Lemon Tree was shot by director Hamish Rothwell via Goodoil Films with producer Sam Long, director of photography Crighton Bone. Sound was produced at Flagstaff Studios by sound engineer Paul Le Couteur. Music were produced by Elliott Wheeler at Turning Studios. Post production was done at Fin Design by VFX supervisor Nick Ponzoni. Editor was Peter Sciberras at The Butchery. Photography was by Christopher Tovo. Media was handled at Carat.